Balancing expenses with revenue can help you maintain profitability and plan your growth! After mastering your revenue and cash flow metrics - it’s important to understand your expenses. The key is balancing the correct amount of expenses to help fuel your growth while maintaining enough money to pay the bills. As always - the first item to keep in mind is what your goal for your business is. In some cases - the goal of a pet sitter is to have enough work to keep them busy and never worry about hiring extra help. Completely understandable and admirable. For a different pet sitter - their goal may be to hire enough staff where they can pay themselves a reasonable salary but spend their time managing people instead of doing daily visits. Again - completely understandable. For another pet sitter - the goal may be to build the biggest, most successful business they can. No matter what your goal is - just keep that in mind as you read this article. Now back to expenses. For a pet sitter, there are two main types of expenses. Fixed costs and variable costs. A fixed cost is a cost that is independent of the amount of visits you complete. Some examples of fixed costs may be your unlimited data plan for your phone, your monthly rent payments on your office or the payment on your work car. A variable cost is dependent on the amount of visits your complete. Examples of variable costs are the amount of money you pay your team to complete the event or the cost of gas to get from one visit to the next. Another type of cost to keep in mind is sales & marketing expense. This is the amount of money you pay for your marketing activities with the goal of gaining new customers. Examples of this can be the money you spend on Facebook Ads, business cards or mailers. sales & marketing expenses can be fixed or variable. Some companies may choose to spend a flat amount of money per month on sales & marketing, some may choose to spend a percentage of their sales, and some may choose not to spend any money on this at all. To keep things even more confusing - you may also have mixed costs. Mixed costs are a combination of fixed and variable costs. Let’s say you have a leased car that has a minimum payment of $200 per month but you have to pay extra if you drive more miles. That would be a mixed cost. To keep the discussion simpler - we will avoid mixed costs but they are important to keep in mind. Understanding your costs helps you predict your profitability. It also helps you understand your break-even point (Your break-even point is the intersection where revenue equals total costs). Because fixed costs are also known as “sunk” costs - you may think that $810 is this company's “break-even point” but that doesn’t factor in any variable costs. We will take a closer look at this company’s break-even point below. In the chart below, fixed costs are blue, variable costs are red and total costs are orange. You’ll see that this company’s total costs start at $810 even if they don’t complete any visits. Let’s say this company charged $20 on average for each visit. If we graph their total costs (in red) and revenue (in blue) - the intersection is the break-even point. For this company - the break-even point happens at 81 visits or $1,620 in revenue. You’ll also notice that as the revenue grows, the gap between revenue and total costs grows as well making this company more profitable! Last up is the sales & marketing expense. For a company that is looking to grow - investing in sales & marketing can be an incredible driver of their growth. Advertising on Facebook, doing an Adwords campaign or sending mailers to a few neighborhoods can really help take your business to the next level. There are two ways to budget for sales & marketing expenses. First is setting a flat budget like $500/month. This would be classified as a fixed cost since you will be spending $500 regardless of how your business did. While this makes for a really simple way to plan, you may be better served by creating a variable budget based on your sales. For example - a budget of 10% of the previous month’s profits means that you can work to build on your exponential growth (remember - that is the key for any business!). Profit is the difference in amount earned and amount spent (Revenue minus expenses). Here is an example budget for a company that invests 10% of their previous month’s profit on sales & marketing. And for those months with unexpected expenses where you weren’t quite as profitable - your budget will be less which helps you save a little bit of money. 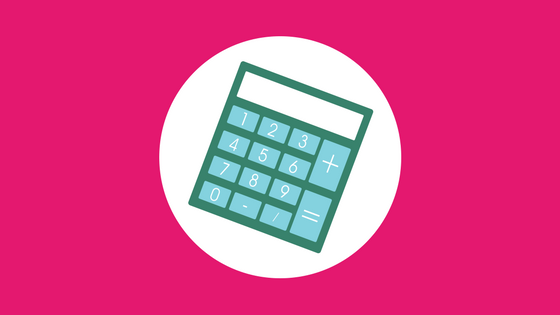 One final thought to help you manage your expenses - you should be tracking expenses per visit. Every so often, it can be helpful to chart your expenses per visit and see how that changes over time. If your expense per visit starts to rise - you may want to take a closer look at what is causing that. If it’s declining - that means your company is getting more efficient and increasing profitability! In the example below - this company usually sees expense per visit of between $12 and $14 but in October it skyrocketed to over $17. Definitely worth exploring further. You can easily calculate this by taking your total expenses per month and dividing it by total visits per month. One of the best ways to keep your expenses low and continue to grow your pet sitting business is by creating a great Referral Program.